In the continuing saga of some heretofore unknown desire to torture myself, it was with a heaving sigh that I picked up the fourth and final book in this "trilogy." If you are just joining us, here is one, two, and three. This last installment is the assault on the prison from the Woodbury resident's perspective. 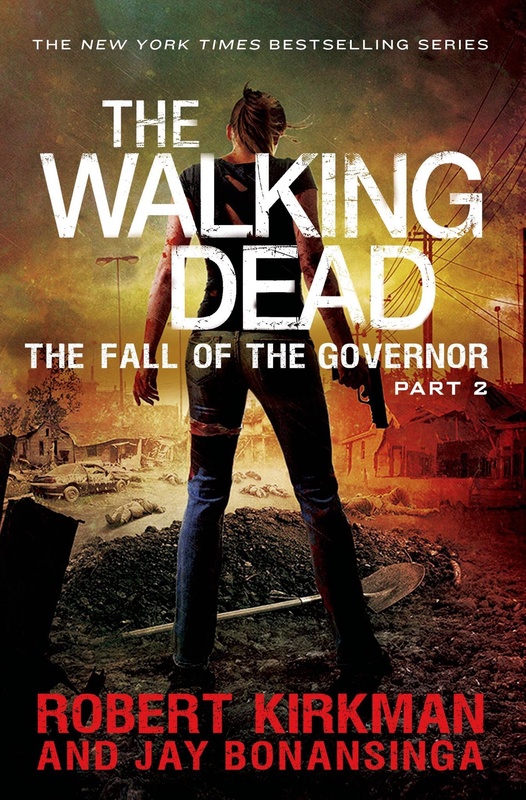 If you've read the previous books and/or the comics, it's pretty clear how The Governor has a stranglehold on the town and can get them to do whatever he wants so reading about how he got people from the prison, tortures Michonne, and Michonne getting her revenge but how The Governor manages to survive Michonne's attack is interesting. You get some more insights into Bob Stookey and Lilly Caul but even then, the whole thing falls flat. I still can't reconcile Lilly's transformation into The Governor's perfect soldier but this book does provide some back info as to why Lilly freaked out after (this should NOT be spoilers by now!) killing Lori and Judith. Personally, shooting unarmed women with babies is just wrong in and of itself but yeah, the back story is nice to know. I don't want to give too much away but I will say the book does not end with the assault on the prison. You do get to find out what happens to Lilly and Woodbury in the aftermath of The Governor's death. It should not have taken four books to say what could have been said in a wicked cool side comic ("Re-Rise of Woodbury" perhaps?) and that is in the last 50 pages or so of just... Meh. All of it just feels like a deflated balloon. Things are wrapped up and explained but there's little punch to it. I will say, the writing stays on the level of Part One; to the point with plenty of gory zombie killin and 'splodin brains. If you don't like gore (then you're reading the wrong franchise) you may be turned off by all the muck here. If I were to sum up all four, I would say the average fan could totally skip these and be just fine. If you're dying to know what happens to Lilly after the prison? Borrow book four and start at chapter seventeen. The books are jerky and boring. I didn't hate this one, I didn't roll my eyes, I'm even short on my usual biting sarcasm here; I just yawned a lot. Save your money for the comics.